Code Creator's WEMP Stack provides a complete, fully-integrated and ready to run windows based development environment. The stack provides developers with "E" Nginx, MySQL and PHP. Code Creator's WEMP Stack provides a complete, fully-integrated and ready to run windows based development environment. 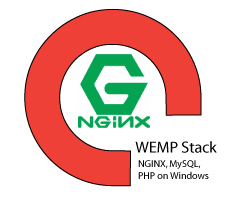 The stack provides developers with "E" Nginx, MySQL and PHP. Nginx is software providing a web server and can be deployed to serve for dynamic HTTP, HTTPS, TCP, UDP, SMTP, POP3, and IMAP protocols including a load balancer and a HTTP cache.